Pokie makers have long been using ancient civilizations as inspiration for their games. 2 of the most popular pokies of all time - Zeus by WMS and Cleopatra by IGT - are still as popular today as they were 10 years ago. Ancient Greek, Roman and Egyptian themes are a proven winner and the Queen of the Nile II pokie by Aristocrat is one of their most played games. 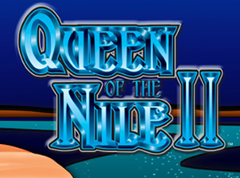 This pokie is a sequel to one of the most popular games ever released by Aristocrat - the Queen of the Nile. There is also a third installment out there, though I'm yet to try that one. For anyone who visits their local hotel or anywhere else with pokie machines, you will almost certainly find this game as it is ever present across Australia. All the Aristocrat games online have something of a classic feel to as the graphics and animations are all fairly basic. That doesn't make them any less fun; quite the opposite in fact. In spite of the fact they are quite basic, they remain some of the most played games online. If you've ever played this game in a casino or hotel, then there will be no surprises here as the 2 games are pretty much identical. it has 5 reels and 25 paylines. There is 1 bonus round and free spins are awarded when you hit 3 or more scatter symbols (the pyramid in this game). When you trigger the free spins, you will be given the choice of choosing 1 of 4 pyramids. Each of these has a different number of free spins along with a multiplier. The higher the number of spins you choose, the lower the multiplier. The options to choose from are 20 spins at 2x, 15 at 3x, 10 at 5x or 5 at 10x. This is actually quite an interesting situation. Most players would likely assume that the odds on these are all the same. However, the 10 spins with a 5x multiplier and the 5 spins with a 1ox multiplier have the highest expectation. This means that if you choose one of these 2 options, you will win more money over the long run compared to the other 2. This makes choosing one of these 2 a no brainer. In terms of volatility, Queen of the Nile II is about average for an Aristocrat game. The RTP % is also about average, somewhere in the 94-97% range. I really like Queen of the Nile II by Aristocrat. It offers regular payouts and I've hit enough big wins on it for it to keep me interested. History buffs with an interest in Cleopatra and ancient Egypt may also enjoy the quirkiness of the game. While it may not be brimful of features like some newer online pokies, this game excels in it's simplicity and engrossing gameplay. 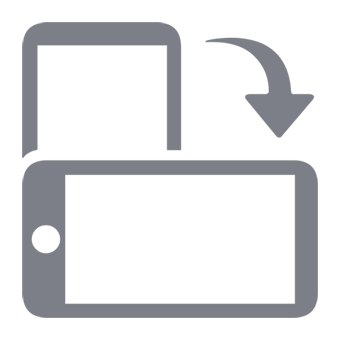 Aristocrat have been a market leader for a long time and there's a reason a why. That's likely because they are damn good at what they do. This pokie is no exception. Enjoy.